Specializing in Lafayette, Moraga and Orinda residential real estate, The Brydon & Ives Team provides standout services to clients who seek to buy or sell. With over $400 million in closed sales, this experienced team prides itself on their unparalleled levels of service combined with a unique and informed perspective of the market, specifically the East Bay cities: Lafayette, Moraga and Orinda. The team is uniquely qualified to provide accurate data, industry perspectives and detailed current market conditions as well as a focused understanding of the luxury consumer. Combining a global perspective with unparalleled knowledge of the Lamorinda market, the team is exceptionally suited to guide clients through the world of residential real estate. Building off of their accomplished backgrounds, they offer a creative approach to negotiating and marketing that proves invaluable to their clients, whether first-time buyers, a trust sale, relocation buyers/sellers, move-up buyers, downsizers or investors. Their approach is laser focused on delivering value along with concierge-level service. The Brydon & Ives partnership was formed over 13 years ago….both were independent Realtors prior to partnering. Each brings something different to the table. Their diverse backgrounds, interests, and capabilities make them stronger together and differentiates them from their competition. Their energetic collaborative attitude and penchant for out-of-the-box thinking led them to Compass, a brand known for leveraging best-in class-technology and top-notch talent to exceed client expectations. Their combined talent and know-how will help you to achieve your real estate goals - and maybe have a little fun along the way. Align yourself with a hard-working, forthright and proactive real estate team that puts you and your needs first. They challenge the status quo and you reap the benefits. Lisa and Kristi look forward to offering you a superior level of service for all of your real estate needs. 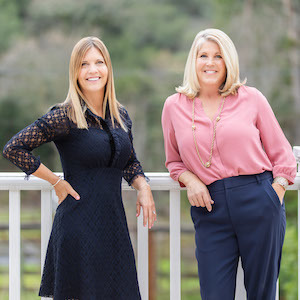 Kristi and Lisa have a proven track record of success in Lamorinda and it's obvious why. They are very responsive, knowledgeable, with great client service and an impeccable reputation among realtors in Lamorinda. Our recent home sale in Lafayette could not have gone more smoothly, from our initial client meeting through the close of escrow, and all the endless details in between (staging, inspections, etc.). They are both extremely organized and dedicated to their clients, and with their tag-team approach, both always know exactly what is going on with their clients and nothing falls through the cracks. Kristi and Lisa have shown us that selling a home does not have to be stressful - it can actually be fun! The Brydon and Ives Team are exceptional! Their expertise and knowledge of the highly competitive Lamorinda real estate market enabled us to get our wonderful home. There were 8 offers on our house and without their guidance leading up to offer day, we simply would not have gotten it. They consulted us on the closing process, how we could differentiate our offer from the competition, and flagged risk areas for us to be mindful of. They were also amazing after we closed, providing numerous tradespeople that we have come to trust. The Brydon & Ives Team are incredible and we believe they are the best at what they do in Lamorinda! Lisa and Kristi are a dream team! They treated us incredibly well as first-time home buyers providing us guidance when we needed guidance while respecting what was important for us. They performed additional follow-up and additional tasks that ordinarily would have fallen on us, and simply made the process as painless as possible. We very quickly developed a solid trust in them both and they seamlessly adapted to our style and preferences, even more important as we performed most activities remotely from our prior residence in Southern California. Thank you so much Lisa and Kristi. We are more than happy to refer you to anyone we know looking for your expertise. And thank you for making home buying a fun experience – we can’t thank you enough! Lisa, Kristi and their team are amazing! We had to make a cross country move for my husband's job. Trying to find a home in 4 days and doing everything else long distance seemed impossible. But they made it so easy. They know the market and their network of service professionals from home inspectors to mortgage lenders are all top notch. We have two small children and they arranged for childcare, so my husband and I could focus on the home search. They live in the communities in which they do business. They provided extensive local insight and helped us make connections even before we moved. I would recommend them without reservation. Top notch! We have worked with Lisa and Kristi many times and we have always been incredibly impressed with their network, knowledge of the area, and expertise. When we first moved to Lamorinda and were not yet familiar with the area, they gave us expert guidance on the area, where to look, and through their network had knowledge of amazing opportunities that were not yet on the market. Our last home purchase was extremely complex and they drove and navigated the entire process and made what would have been overwhelming much more simple. There are no better partners to work with in buying or selling a home in Lamorinda – period! It was a real pleasure to work with Lisa and Kristi. It was quite daunting to face the reality of selling the family home of 50 years while being spread out across multiple states. Lisa and Kristi assuaged our worries by providing, scheduling and managing all of the vendors, i.e., inspectors, handymen, gardener and personal property removal. Their marketing skills gathered an overwhelming amount of interest that garnered multiple offers, all well above our initial price expectation. We truly appreciate their hard work and would highly recommend them to any of our friends and family.